Get To Know Asphalt: What Is It and How Did It End Up On Your Roof? Asphalt is like sugar. It’s in everything. Of course, you wouldn’t want to ingest any amount of it, not even on special occasions. Yet, asphalt is in our roads, highways, landing strips, bike paths, and etc. It’s also an important ingredient in the roof shingles that likely cover your house. Let’s take a look at asphalt and how it plays a role in common roofing material. If we want to get to the elemental level, the building blocks of asphalt include carbon, hydrogen, sulfur, oxygen. If we want to get a little more specific, asphalt is composed firstly of aggregates—a mixture of crushed gravel, stone, and sand. There are different types of asphalt and the one typically used for roofing is mastic asphalt. Mastic asphalt is a versatile and useful material for a wide range of construction purposes. It’s most beloved qualities include its resistance to water and can also be a tough surface in roofing or paving. Mastic asphalt is commonly bound together with bitumen or modern polymers and can be quite robust. It has an incredible resistance to wear and tear and why it is most commonly used for bigger buildings like schools, offices, shopping centers, etc. Rolled asphalt —another type of asphalt—makes up about 85% of the roads constructed in the United States. And as you know, the roads we travel on are incredibly resistant and long-lasting. This is a testament to the durability of the material in its different forms. Using asphalt as a building material is nothing new. It has been used for thousands of years including by the ancient Babylonians. 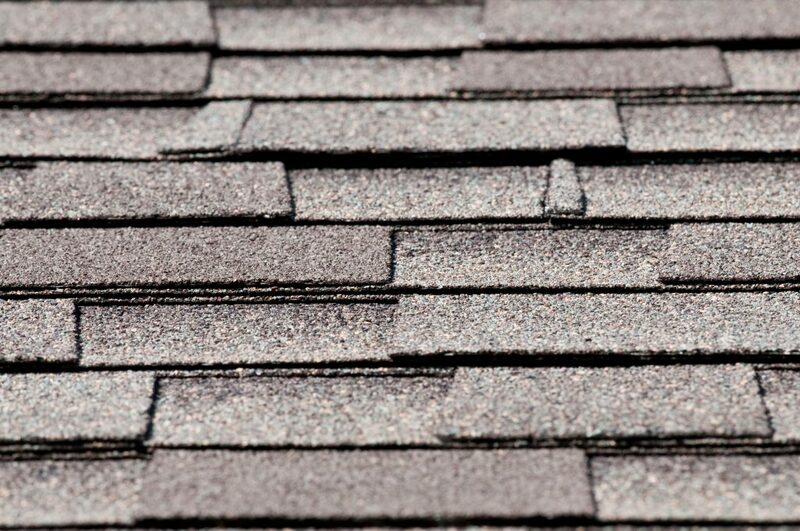 In 1903, however, the beginnings of the asphalt shingles appeared when Henry R. Reynolds began marketing them. The roofing material spread quickly like wildfire and became the most popular material in residential roofing. Asphalt shingles make up about 80% of contemporary homes roofing. There are several reasons for this. For one, asphalt shingles are durable, lightweight, easy to install, relatively easy to maintain, and less expensive than other types of roofing. Asphalt shingles are also known as composite shingles. They are composed of several layers. One of those is fiberglass or organic felt. This forms the foundation base. There is then an asphalt-saturated base covered on one or both sides. This is to make them resistant to moisture. Also, various colors of ceramic-coated mineral granules are used as another top layer to protect from the sun’s ultraviolet light. El Paso Roofing has been in business for more than three decades. We have installed and repaired countless asphalt shingle roofs. If you are looking to repair or replace your roof, trust the professionals to do it right.